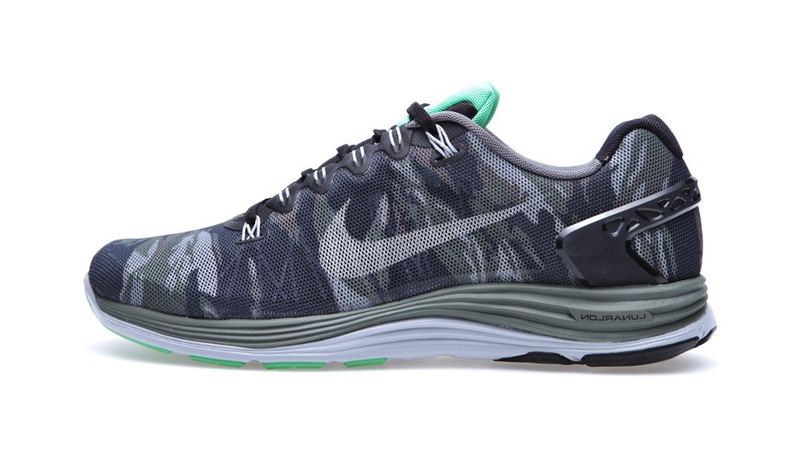 Nike Lunarglide+ 5 EXT "Camo"
The new LunarGlide+ 5 will release in a series of bold EXT colorways this summer, starting out with an all-over camouflage treatment. 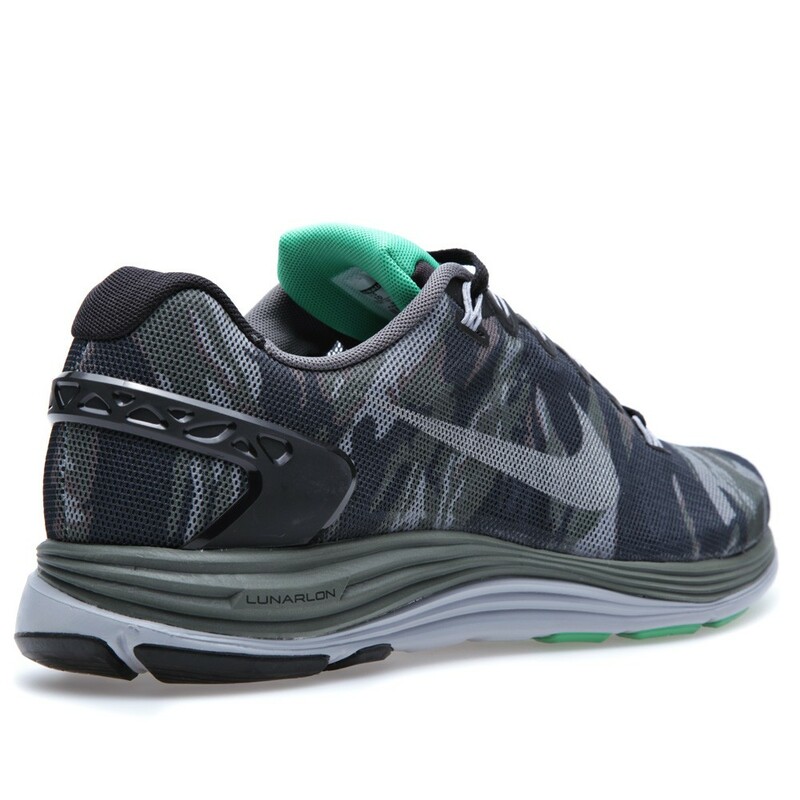 The new LunarGlide+ 5, previewed here yesterday, will release in a series of bold EXT colorways this summer, starting out with an all-over camouflage treatment. The shoe features a mesh upper covered completely in tiger camo, complimented by a tonal heel clip and an olive and grey midsole. 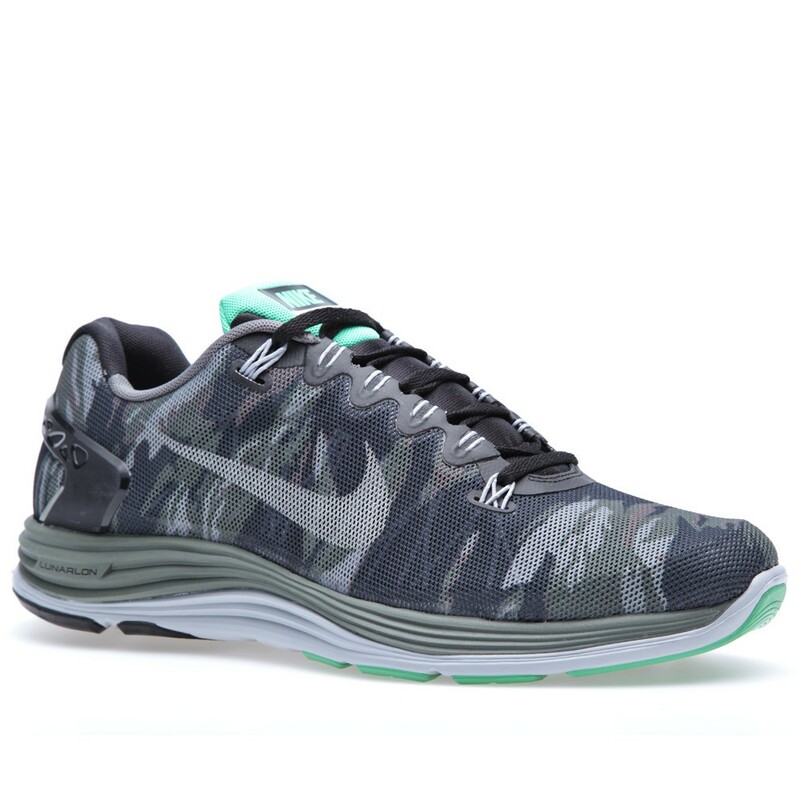 The Nike LunarGlide+ 5 EXT "Camo" is available for pre-order now at End Clothing.